Perched on a hillside, Saint Paul de Vence is one of the oldest perfectly preserved medieval towns on the French Riviera. It is particularly notable as an artist's haven since the early twentieth century. 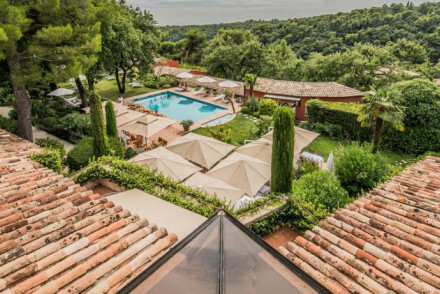 The best places to stay in Saint Paul de Vence offer an idyllic hideaway just seven kilometres from the beach and a short drive from the glamorous resorts of Cannes and Nice. Historically, Saint Paul was considered strategically important and became a border stronghold. The impressive fourteenth century town walls bear witness to this. During the seventeenth century the beautiful St. Paul’s church was extended and the sumptuous St. Clement chapel constructed. Influential families built mansions in the town. The opening of a tramway in 1911 transformed the town - enabling local farmers to export their produce to Nice, Antibes and Grasse and making this lovely place accessible to the outside world. Artists discovered Saint Paul de Vence in the early 1920’s, Raoul Dufy was one of the first to come here - attracted by the light and colour. The artistic community formed a centre around the classic Colombe d’Or Hotel which is adorned with many of their works - Picasso and Chagall amongst them. In the 1950’s the town became a popular film location. Stroll through the historic centre of St Paul de Vence. Enter the town via the original stone 14th century Porte de Vence and end up in the the Place de L'Eglise, which is filled with ancient buildings, and a great place to stop for some refreshment and watch the world go by! The town's artistic and cultural legacy lives on to this day and there are countless galleries, studios and museums to explore and enjoy. There are also markets and boutiques, walks and cycle routes. If you only plan to spend a night or two exploring the town, then we'd advise you to book a hotel in the centre of town. But if you're staying for longer and want to get out and about, then you'll be better off with one of our recommended properties in the surrounding area, from where you'll have easy access to both the beach and the charming Provencal towns and villages. The best places to stay in Saint Paul de Vence get booked up very early during the peak summer months. So you'll need to either plan well ahead if you wish to visit in July or August, or change your dates and come in the shoulder season when the weather is still lovely, but the crowds have gone. La Maison du Frene is a renovated eighteenth century house with a vibrant decor and airy suites. The private art collection is incredible and there’s a house party feel. Just four rooms. La Colombe d’Or Hotel - Steeped in history and still family run this is the original artist’s hangout. 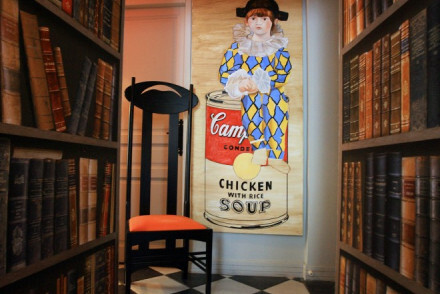 The walls are covered with paintings by Picasso, Matisse & Co. who would gift a picture in exchange for food, drink etc. The restaurant is equally renowned for its gourmet provencal cuisine. Truly unique with a laid back atmosphere. Whimsical, inspirational and a honeymoon favourite. The Hotel Cantemerle and its charming restaurant are set in acres of private grounds and offer stylish rooms in old fashioned buildings. Plus gourmet restaurant, pool and spa. A lovely hideaway. 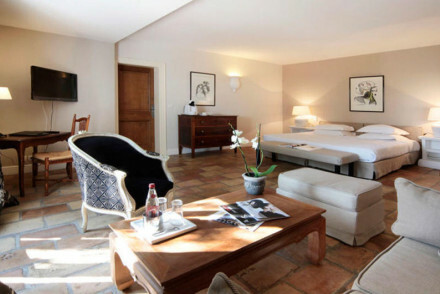 Le Mas de Pierre offers a luxury provencal residence with elegant rooms, set in manicured gardens with pool and terrace. A sophisticated tropical oasis, just five kilometres from the beach. 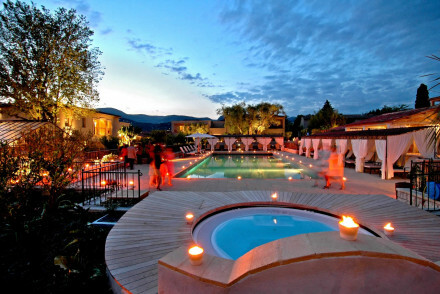 For a very chic hotel in the Provencal countryside book Hotel Alain Llorca. The rooms are large and elegant and feature antiques and white washed walls. Plus an intimate bar, lovely terrace and pool. The restaurant is Michelin starred and you're just seven kilometres from the Mediterranean. The Toile Blanche is a smart boutique hotel in the perfect position for exploring the region. Rooms are modern in style, there are lovely views and the restaurant won't disappoint. La Grande Bastide is a gloriously luxurious eighteenth century country house with outstanding views of the coast and valley. Lovely rooms with balconies, plus a candle lit terrace and pool. The Hotel Le Saint Paul is a very romantic medieval villa with sumptuous rooms and suites. 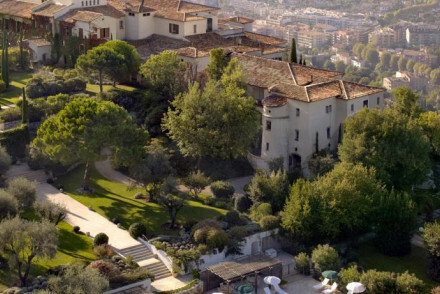 Think Provencal decor, rooms filled with antiques and spectacular views over the Côte d'Azur. Plus a gourmet restaurant. Chateau du Domain St. Martin is a fairytale chateau in the hills with stunning coastal views. There's Michelin starred dining in the restaurant, an amazing Spa and sumptuous suites with private balconies. This is a very special luxury getaway. If you're looking for something a bit different check out the Orion Tree Houses - three Quirky tree houses and one cottage offering an alternative holiday experience! The houses are all based on jungle book characters, and offer super luxury! Very intimate and tranquil and ‘back to nature’. Hotel le Hameau is a Provencal farmhouse conversion beside the road to Saint Paul. The 17 rooms have a simple rustic elegance, and the landscaped gardens are beautiful and fragrant with lovely walks close by. Rooms start from around €95 per night. 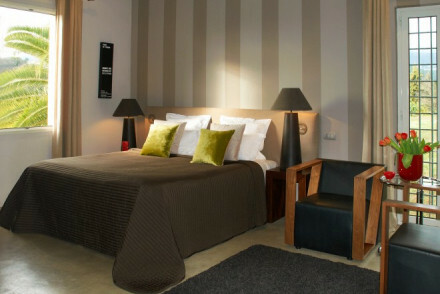 La Vague de Saint Paul is a stylish modern hotel just outside the town. The rooms are comfortable and spacious with smart ensuites and there's a recommended seafood restaurant. Rooms start form around €110 per night. Nice-Côte d'Azur Airport is closest, and there are excellent UK connections and links to the rest of Europe. From there it’s an easy journey by train or bus. The closest station is Cagnes our Mer. If you want to hire a car - which is a good idea if you’re staying in Saint Paul de Vence and you want to see more of the Côte d'Azur - we recommend you visit our online partner, Rentalcars. Saint Paul de Vence has a delightful Mediterranean climate which means it’s mild and brilliantly sunny for most of the year - excepting winters which are cool and sunny. The Mistral winds keep Saint Paul de Vence from baking during the summer months, and keep the rain showers moving, so that Saint Paul de Vence gets passing showers rather than days of rain on end - October and November are the rainiest months. 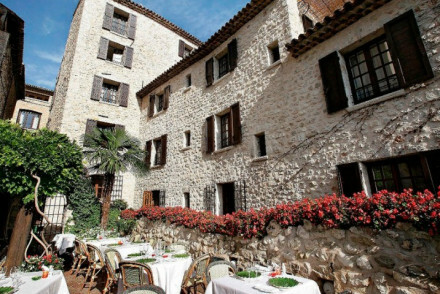 Still not sure which is the best place to stay in Saint Paul de Vence for you? A stylish modern hotel just outside Saint-Paul-de-Vence. The comfortable and spacious rooms come with modern interiors and smart ensuite bathrooms. Luxuriate by the sublime outdoor pool and enjoy delicious seafood in the hotel's restaurant. An ideal beach-chic getaway for couples and families alike. Beach Life - Just five minutes from the beach, it's perfect for exploring the beautiful coastline of Cote d'Azure. 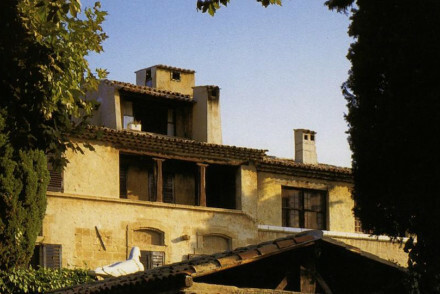 Sights nearby - Visit the nearby Château Grimaldi which houses some of Picasso's more obscure works. Local markets - The hotel is within eight miles of the Nice Cours Saleya and Flower Market. A peaceful little villa surrounded by charming gardens and a leafy pool area. Rooms are fresh and have a distinctly feminine aesthetic, with antique-style cream furniture chandeliers and floral motifs. A lovely Riviera pied-a-terre ideal for a tranquil escape. 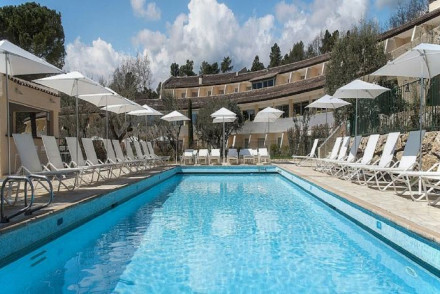 Attractive hotel and restaurant set in acres of private grounds 15km inland from the coast in charming Vence. Stylish rooms in a cluster of artfully old-fashioned ochre-roofed buildings. Gourmet restaurant, bar, swimming pool and spa. A lovely place to relax and while away a few days. Hideaway - A chic yet peaceful hotel set between the mountains and the sea, with fragrant gardens and lovely pool. Spa breaks - A lovely spa featuring an indoor heated pool, Hammam, Massage room, solarium and an outdoor pool. 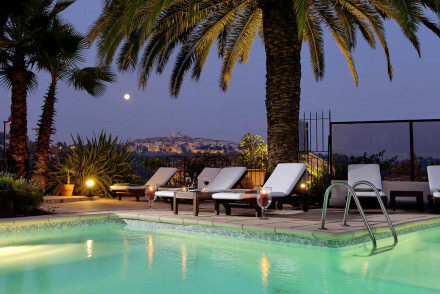 A serene boutique hotel in the Côte d'Azur. Affordable, modern chic rooms with lots of natural light, some with balconies, and splashes of modern art. Stunning views from the garden terrace, creative French cuisine, & a short drive from Cannes and Nice. The perfect spot to discover the region from. Sights nearby - Just a short drive from Nice and Cannes. Charming 18th century country house with valley and coastal views. Smart rooms and suites in creams with all the mod cons and private balconies. Swimming pool, hot tub, and plenty to do at the beach. Not far from NIce, it epitomises the romance of Provence. Views - Stunning views towards the coast and into the valleys below. Romantic Break - Beautiful bedrooms with patios straight onto the garden. Sights nearby - Fondation Maeght, Place du Grand Jardin, Vence Cathedral and Porte du Peyra. Swimming Pool - A candle lit pool in the evenings is the perfect spot for an aperitif. Luxurious Provencal residence boasting luscious manicured gardens, tropical vegetation and a relaxing pool with terrace. Rooms are elegant all with private terrace or garden. A relaxing spa, plus gourmet Mediterranean cuisine complete the picture. A tropical oasis just 5km from the beach. A Provencal farm conversion, beside the road to St Paul de Vence, overlooking the valley. Simple but elegantly rustic bedrooms and a large pool surrounded by beautiful fragrant gardens. a peaceful, charming haven just 15 minutes drive to the beach and a 10 minute walk to St Paul. Local exploring - Walking distance to the medieval village of St Paul de Vence and a short drive to the many nearby villages. Country Escape - Beautiful gardens full of flowers and sundecks, soak up the Alpes-Maritimes countryside. Local markets - Vence has been a market town for centuries, head down to the picturesque square every Tuesday and Friday. Strikingly done-up 18th century house. Vibrant decoration, large airy suites and a truly amazing private art collection. House party feel and exuding plenty of character. A luxurious a chic townhouse stay and a good base for local exploring. Artworks - Fabulous modern art by Hockney, Arman, Gilbert and George, pop-art, as well as pastiches of Picasso and Lichtenstein. Local exploring - Perfect for following in the footsteps of the great artists who spent time here and nearby. Romantic Break - These opulent and lavish suites set the tone for romaance. Local markets - The nearby towns of Biot, Tourette-sur-Loup, Valbonne as well as Vence itself hold local produce markets every week. Charming medieval villa with a gourmet restaurant and spectacular views from private terraces. Sumptuous bedrooms and suites with Provencal decoration - pastel colours, rich fabrics, and lovely views. A romantic spot for local exploring and gourmet cuisine. Romantic Break - A charming hilltop hotel with ramparts overlooking the Côte d’Azur, a flower-packed terrace and antique filled rooms. Local exploring - A medieval property set in a pretty town and just 25 minutes from Nice and Antibes. Sights nearby - Make a trip to Antibes and visit the Picasso Museum housed inside the Grimaldi castle. Local markets - On Mondays is the famous antiques market in the Cours Saleya. Four tree houses and a small cottage, all named after Jungle Book characters. 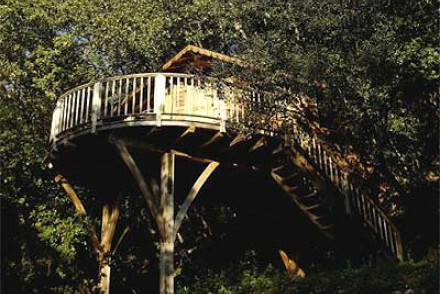 The owner of Orion is passionate about these super luxurious tree houses - some have four-poster beds. They are well-facilitated and especially homely inside with a pebble-lined outdoor pool to boot: come here to escape. Back to Nature - Located in and amongst the trees you are quite literally immersed by nature. A lovely B&B in a 17th-century villa, with gorgeous gardens and a pool with fabulous vistas. Rooms are spacious and decorated in warm Mediterranean tones, with rustic touches like fireplaces and wooden beams. Expect generous breakfasts, and don't miss playing a game on the floodlit boules court. Writing a novel - Steeped in romantic history, the hotel was an artists haven during WWII, this is an ideal property for inspiration and escapism. Honeymoons - A whimsical hotel ideal for romance, with lovely gardens, charming suites, and an indefinable mystique. A chic hotel in the Provencal countryside. Large, elegant rooms are filled with antiques, white washed walls, and rustic furnishings. Outdoor pool, terrace, and a shady garden. Michelin starred cuisine, intimate bar. Grown-up, peaceful, gourmet. A fairytale chateau in the hills, with coastal views. Boasts a Michelin-starred restaurant and luxury spa. The classically sumptuous suites with balconies and private villas encapsulate French country chic. Luxury and tranquillity with fine dining. Honeymoons - An enchanting fariytale hotel with charming suites, private balconies with spectacular views of the sea. Foodies - There are several fantastic restaurants including the Michelin starred Saint Martin. Sights nearby - Close to the Chapelle du Rosaire de Vence, a church designed by Henri Matisse.